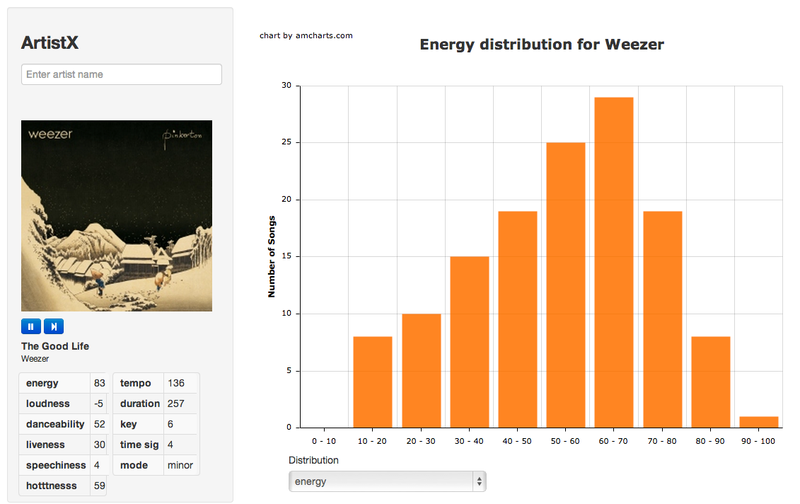 You can interact with the plots – click on a bar or point in a plot to listen to songs (via Rdio). 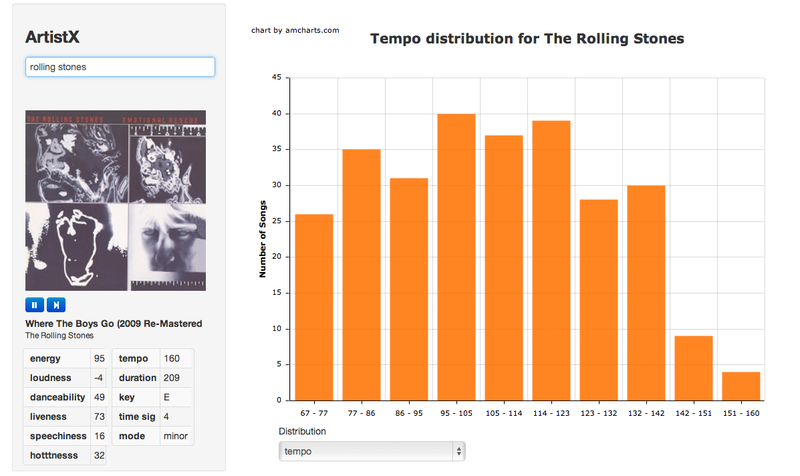 The app lets you explore across 11 different song parameters: energy, loudness, danceability, liveness, speechiness, hotttnesss, tempo, duration, key, time signature and mode. You can use the app to find all sorts of interesting things. Want to listen all the stage patter for an artist? 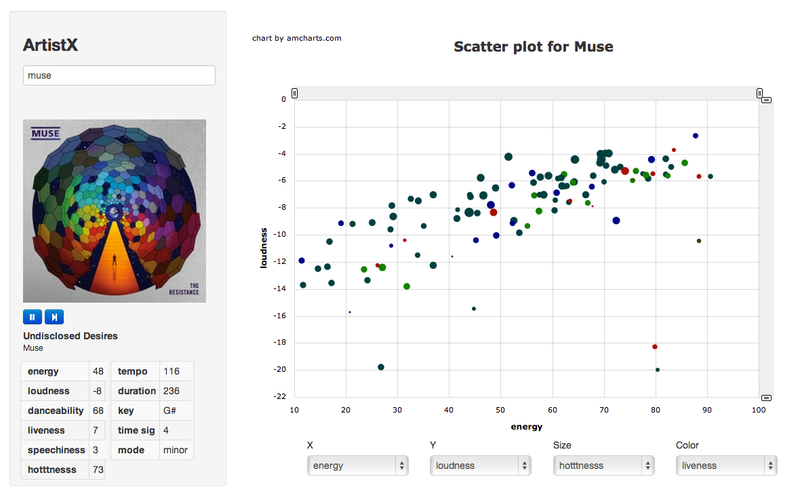 Create scatter plot for the artist with liveness and speechiness as the X, Y parameters. The songs in the upper right-hand corner of the plot will be the ones you are looking for. Try it with an artist like Elvis Presley or Dean Martin. This entry was posted on March 17, 2013, 11:21 am and is filed under Music. You can follow any responses to this entry through RSS 2.0. Both comments and pings are currently closed. It is probably an Rdio location restriction. What country are you in? USA. Having the same problem. Hey all – there was a bug when running ArtistX on firefox. I’ve fixed it. Reload the page and try again.